[grow_thumb image=”http://telecareaware.com/wp-content/uploads/2014/03/ata-2014-square.jpg” thumb_width=”180″ /]This publication is rarely a media sponsor of conferences, by choice. When we are, it’s because the conference and the organization is significant to the progress of healthcare technology in remote monitoring and related areas. The American Telemedicine Association (ATA) is one of those special organizations in their long-standing advocacy of global telemedicine and telehealth. We are pleased to announce we are joining their distinguished roster of 2014 media partners. The new Innovation Spotlight: Monday highlights interviews with telemedicine startups (release); Tuesday, ATA’s partnership with the XPrize Foundation (release). For those who cannot attend onsite, there are virtual assets including ePosters and ATA TV. More information and registration here. Twitter: @ ATA2014. ATA 2014 on Facebook here. Editor’s Note: This Editor hopes to be able to attend the Monday sessions. Prior commitments prevent her from attending the other days. If you are interested in contributing coverage from one item to a day, please contact Editor Donna about arrangements. Our gentle requirements are that you send a timely report (within 72 hours) from this event. Our standard is that you can be selective and interesting rather than comprehensive. Of course you will receive writing credit, but other expenses will not be covered. Clayton Christensen, as many of our readers know, pioneered a theory of disruption in business models and a three-step cycle of innovation (empowering, sustaining and efficiency, now quite broken indeed). With two other writers, he applied these theories to healthcare in the 2009 book ‘The Innovator’s Prescription’ which this Editor heard co-author Jason Hwang, MD present in 2009 at the Connected Health Symposium and at a private meeting in 2011. One would think that we’d be well into disruption, which is part of the empowering innovation cycle and which the authors championed in the book as underway. This conference was held in a very salubrious conference facility at the LSE on March 24th & 25th. The organiser – Maggie Ellis – delivered her customary eclectic selection of contributors: there was a very broad range, from telecare and telehealth stalwarts through to insurers specialising in the financial issues of older people, management gurus and broadcasters advising on how best to get a story on radio or TV. In short it is like no other, and so has a faithful following among a certain group of assistive technology professionals, many of whom travel from continental Europe and beyond to be there. 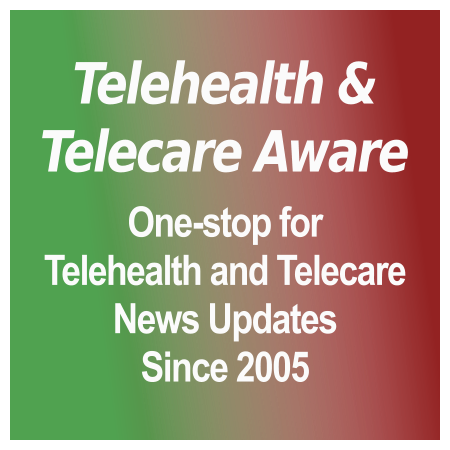 A new report analysing the telehealth development in the UK and proposing improvements has been [grow_thumb image=”http://telecareaware.com/wp-content/uploads/2014/03/Tackilng-telehealth-report.png” thumb_width=”150″ /]produced by Inside Commissioning. The report Tackling Telehealth – how CCGs can commission successful telehealth services is written by a panel of authors led by Dr Ruth Chambers who co-chairs NHS England’s Task and Finish group for commissioning skills and capability for the delivery of Technology Enabled Care Services (TECS). The UK has been experimenting with telehealth as much as any country in the world and has notably carried out the largest clinical trial of telehealth anywhere, the Whole System Demonstrator (WSD). WSD produced some valuable results with regard to telehealth benefits, including reduced mortality, and was instrumental in the launching of the key government telehealth programme, 3 Million Lives (3ML) in 2011. Last year the GP magazine had carried out a major survey of telehealth implementation in the UK by making information requests from all 176 Clinical Commissioning Groups (or CCGs, a new administrative unit introduced by the current government) under the Freedom of Information Act (a common technique to gather official data). A comprehensive analysis of the returned data (108 out of the 176 had responded) forms a major part of the Tackling Telehealth report. The research results reported are mixed. Some of the results make painful reading. The 3ML target of 100,000 telehealth users in seven pioneering “pathfinder” areas by end of last year was dismally missed with the actual figure being below 3,000. In one pioneer area the local council had withdrawn a telehealth tender due to lack of a supplier able to meet the requirements. Another 3ML pioneer area had decided to decommission its telehealth services. Meanwhile other CCG areas have reported more than 1,000 telehealth users each and one had budgeted £1M for services this financial year. The report looks at what needs to change for telehealth to be successful and follows this up with a case study. This is a very well written and professionally presented report. I do have one reservation though. The case study deals with the selection of a supplier for telehealth products in Nottinghamshire and quite blatantly that selected supplier is noted as a co-producer of the report. I think this does bring the independence of the report into question and somewhat spoils the authority which it may otherwise have had. The report is free to download so long as you register on the Inside Commissioning website here. An excellent new report is out now on the use of digital technologies in health systems covering all the [grow_thumb image=”http://telecareaware.com/wp-content/uploads/2014/03/A-digitally-enabled-health-system.jpg” thumb_width=”150″ /]key areas of application. A digitally-enabled health system studies the Australian health system and how it is to be improved by the use of various digital technologies. Published by the Commonwealth Scientific and Industrial Research Organisation (CSIRO), Australia’s national science agency, this is a well researched and written report with the underlying analysis applicable to most countries, not just Australia. With contributions from eight experts, and presented in clear language, this is well worth a read. A free download of the report and links to infographics are available on the CSIRO report page. Australia, in common with many other countries, faces pressures on its health system: “Treasury estimates suggest that at current rates of growth, and without significant change, health expenditure will exceed the entire state and local government tax base by 2043, and require almost half of all government taxation revenue” says Sarah Dods in the introduction to the report. CSIRO suggests several developments to meet this challenge – no surprises here, but nevertheless useful to remind ourselves of these: reduce reliance on hospitals, better manage hospital resources, make in-home patient monitoring (telehealth) the norm and introduce rigorous data security and privacy. On hospital admissions there is a discussion on managing Emergency Departments and re-routing ambulances to hospitals with shorter queues, a practice that is already taking place in some parts of the country. There is a section on the use of RFID tags to manage both equipment and continuity of care in hospitals. Another section looks at telehealth and self-monitoring. Other sections look at video conferencing (“tele-presence”) and remote diagnosis. Courtesy of Accenture, we now have (perhaps exclusively?) Aimie Chapple’s full presentation delivered at the NHS Futures Summit in November. The link is contained at the end of Editor Charles’ article on ‘NHS futures – more encouraging signs of change‘ which puts it into context and is definitely worth your reading time. Hat tip to Mark Radvanyi of Accenture for providing Personalised and Preventative Care: Technology Trends and Disruptors that will Shape the Healthcare Transformation. Exactly a year ago, retail drug store/onsite clinic/PBM giant CVS Caremark unveiled its ‘big stick’ approach to employee wellness–if you are in their health plan, you must participate in their ‘voluntary’ health screenings and management program or be charged $50 per month. One employee is now suing about this in Alameda County (Oakland/San Francisco, California area) Court. 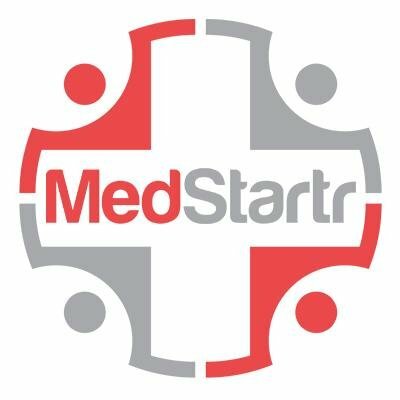 Filipino company Metro Pacific Investments Corporation (MPIC) plans to offer telehealth services in its hospitals allowing Filipinos in remote areas to avail themselves of healthcare services, reports Interaksyon, the online news portal of the Philippines TV network TV5. In a briefing last week MPIC Hospital Group president Augusto Palisoc has said it is piloting a telehealth service involving two machines located in company-owned Asian Hospital and another in a government hospital in Batangas. This will allow patients in remote areas — with the assistance of a professional with medical training — to seek diagnosis or the advice of doctors in a base hospital, the article says. Metro Pacific’s planned venture into telehealth is part of its efforts to look at other healthcare delivery processes in addition to its regular hospital investments. MPIC operates the largest private hospital group in the country with approximately 2,150 beds. Its network includes the Makati Medical Center, Cardinal Santos Medical Center, Our Lady of Lourdes Hospital, Asian Hospital & Medical Center, De Los Santos Medical Center, Central Luzon Doctors’ Hospital in Tarlac, Riverside Medical Center in the Visayas and Davao Doctors Hospital in Mindanao.